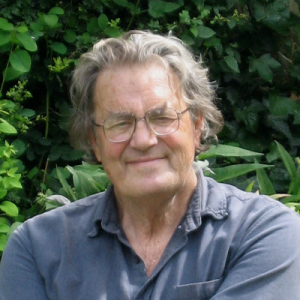 David Pownall is an award winning British novelist and playwright. He has had over eighty radio plays broadcast on the BBC and worldwide, and his work for stage has been produced in many countries throughout the world.During his extensive career, David has written in a number of different mediums including thirteen novels. He was born in Liverpool in l938 and educated at Lord Wandsworth College and Keele University, it was during this time that he became involved with writing and managing student publications. After graduating, David worked for the Ford Motor Company before going to Africa to work as a Personnel Manager in the copper-mining industry. During this time he worked with local drama groups, who performed his earliest stage plays. He returned to England in l969 to start a new career as a writer. David’s first professional production in the UK How to Grow a Guerrilla first toured with the Century Mobile Theatre in 1971. After moving from the Lake District, his writing acquired a strong regional identity in Lancaster and he quickly became recognised as Resident Playwright, drawing people in from all the surrounding areas. In 1975 David founded Paines Plough, which toured nationally with a group renowned for their abilities as both actors and musicians. He wrote seven plays for Paines Plough, while also writing for other theatres. Two of these plays, Music to Murder By (1976) and Richard the Third Part Two (1977) won Fringe Firsts at the Edinburgh Festival, and went on to play at the National Theatre. In 1982 David's play Masterclass premiered at Leicester Haymarket with Timothy West, before transferring to the Old Vic Theatre, followed by Wyndhams in the West End. It then travelled to the 1984 Adelaide Festival in Australia before touring the country for two years, culminating at the Sydney Opera House. Masterclass has been performed in over twenty countries, many of them ex Soviet Territories, including Russia. It ran for up to six years in Finland. To this day Masterclass is widely acknowledged as David's most successful play and is renowned for its portrayal of composers Shostakovich and Prokofiev in the grip of Stalin’s cultural dictatorship. Since then David has, amongst other things, created dance plays with the Kosh, and has been commissioned to write for the English National Ballet’s principal dancer, Nicholas Johnson (Death of a Faun, 1991, performed at The Royal Opera House & toured internationally). His play, Elgar's Rondo, was commissioned by The Royal Shakespeare Company in 1993. David Pownall's career in radio started at the BBC with Alfred Bradley in 1972 who discovered him through his work for stage at the Century Mobile Theatre. He worked with Bradley, producing a number of memorable of radio plays up until Ploughboy Monday in 1986 which won his second Giles Cooper Award, the first being for Beef in 1981. In 1984 David began working with Martin Jenkins, their first collaboration was a radio adaptation of Masterclass, David’s seminal stage play. This was amongst many radio plays which were adapted from his stage plays, novels and short stories. Elgar’s Third, also directed by Martin Jenkins, won the Sony Gold Award in 1995. This was followed by a Silver Award for Under the Table (1996) directed by Eoin O’ Callaghan. David has principally worked with Jenkins, Callaghan and Peter Kavanagh, who directed Something To Remember You By in 1994 and has continued to work with David ever since. In 1998 David’s play publishers, Oberon Books, published a collection of Pownall’s award winning radio plays. Recognised as one of the UK’s most prolific and respected radio dramatists, Davids work can be heard regularly on BBC Radio 3 and 4, as well as on international radio. David's first two novels: The Raining Tree War and African Horse (Faber 1974/1975) were influenced by his time in Africa. For these he was made a Fellow of the Royal Society of Literature. He also wrote a collection of short stories entitled My Organic Uncle (Faber 1974), many of which were set in Africa. Four more novels followed during 1975 - 81: God Perkins; Light On a Honeycomb; Beloved Latitudes; Between Ribble and Lune (non-fiction). David's best selling book, The White Cutter was published by Gollancz in 1986 and translated into several languages. David has written 13 novels including a recent autobiographical novel The Archivist (Quartet 2010). As with his plays, the novels cover a wide range of subject including: history, music, politics, family, often streaked with black comedy and high imagination. David Pownall has been recognised throughout his career with awards from Sony, The Royal Society of Literature, The Edinburgh Fringe and The Writers Guild with nominations home and abroad.